The Infant & Toddler Connection of Virginia provides early intervention supports and services to infants and toddlers from birth through age two who are not developing as expected or who have a medical condition that can delay normal development. Early intervention supports and services focus on increasing the child's participation in family and community activities that are important to the family. In addition, supports and services focus on helping parents and other caregivers know how to find ways to help the child learn during everyday activities. These supports and services are available for all eligible children and their families regardless of the family's ability to pay. The Virginia Early Intervention Professional Development Center was created as part of Virginia’s Comprehensive System of Personnel Development (CSPD) and is maintained by the Integrated Training Collaborative and the Partnership for People with Disabilities. Their mission is to create opportunities, promote individual choice, and change the lives of children and adults with disabilities by maximizing their individual potential to live, learn and work in their communities. In pursuit of that mission, four core values guide their efforts: Integrity, Respect, Responsibility and Innovation. By utilizing these core values in all they do, they are assured that the personal outcomes of those they serve stay at the forefront of their daily activities. The Down Syndrome Association of Greater Richmond is a 501(c)3 nonprofit organization that strives to improve the quality of life for individuals with Down syndrome and their families by providing access to current and accurate information on Down syndrome and by fostering programs that focus on education, community services, public awareness, medical issues, research, advocacy, legal issues and parenting. The Down Syndrome Association of Hampton Roads is a non-profit charitable organization that supports the families and persons with Down syndrome. Our mission is to enhance the lives of individuals with Down syndrome, helping them reach their full potential by providing family support, education, and social opportunities in Southeast Virginia and Hampton Roads. The mission of this organization shall be to ensure that all individuals with Down syndrome and their families receive the support necessary to participate in, contribute to and achieve fulfillment of life in their community. The Down Syndrome Association of Roanoke, VA is made up of families, friends, professionals, and individuals with Down syndrome in Southwestern Virginia. Our organization is a growing network of families and friends interested in sharing their successes and challenges. We offer New Parent Welcome Information, outreach to area hospitals, monthly meetings and social events. Down Syndrome Association of Virginia Peninsula has also offered seminars and training sessions of newer approaches to speech and language success to the greater community of educators, therapists and families. 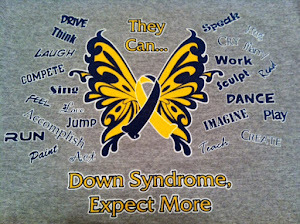 Please contact the Down Syndrome Association of Northern VA through their website. The information you have on this site for DSANV is wrong. Information for Down Syndrome Association for Northern VA is updated. Thank you.